Lynn Burkhead is a blessed man who digs being alive to know, live for, and worship the Creator; being married to his babe, Charissa; and being "Dad" to Katie, Zach, and Will. Professionally, he is a nationally recognized outdoor writer who served as an associate editor, senior writer, and blog columnist for the ESPNOutdoors.com Web site for much of this decade. 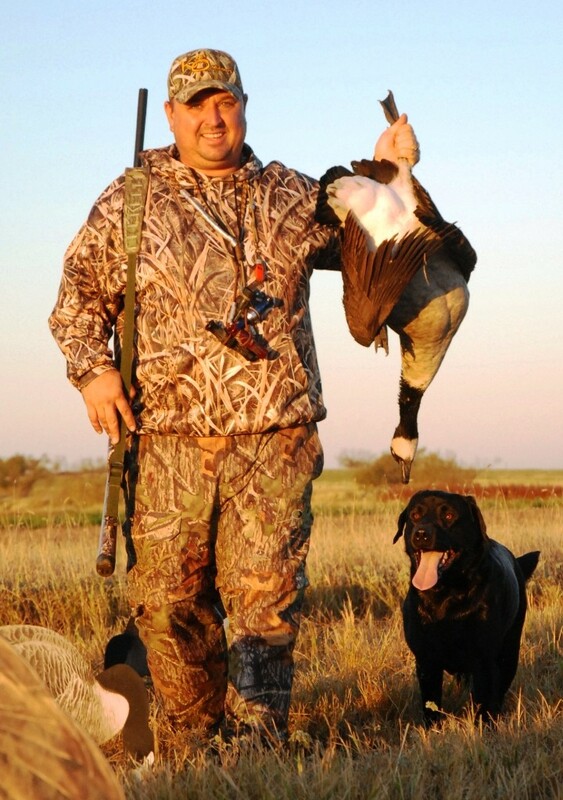 Burkhead has also been a deer hunting columnist and fishing fundamentals columnist for Texas Fish & Game magazine as well as serving as a hunting columnist for Southern Sporting Journal magazine. 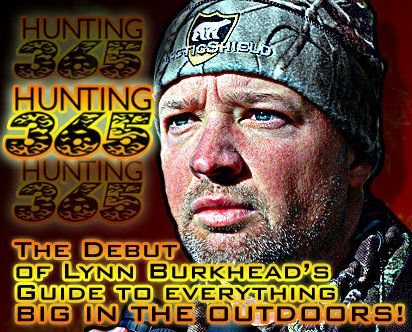 Finally, he has been a busy freelance writer and photographer for more than a decade with hundreds of byline credits appearing in such places as Bassmaster.com, Bowhunt America, Bowhunter, Buckmasters, Field & Stream, GrandViewOutdoors.com, Great Plains Game & Fish, Louisiana Game & Fish, Lone Star Outdoor News, North American Whitetail, Oklahoma Game & Fish, Outdoor Life, Realtree.com, Rocky Mountain Game & Fish, Texas Sporting Journal, and Texas Sportsman. When time permits, you'll typically find him outside with a bow, a shotgun, a fly rod, or a Nikon camera in his hand. If you regularly read the drivel that I put into this space, then you’ll perhaps recall the tale I reported a while ago of oldest son Zach bagging his first ever mallard drake during the most recent duck season. 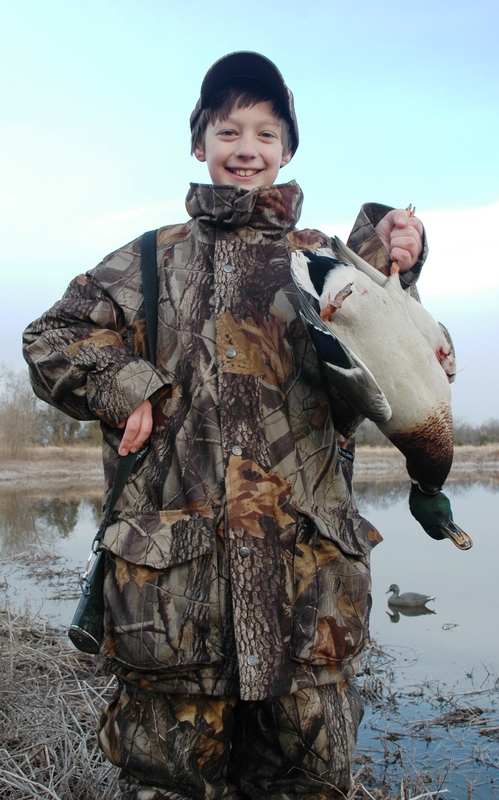 And the super-sized smile that accompanied his first ever greenhead harvest. What I didn’t tell you about is the disappointment that younger brother Will tried bravely to hide, a discouragement that his eyes betrayed because he was still on the outside looking in at least when it came to the mallard hunting fraternity. Welcome to the fraternity Will. We're all green with envy! Like his older brother on previous hunts, it wasn’t a lack of effort that had kept young Wilbur from bagging green. He had dutifully trudged afield carrying his 20-gauge shotgun, hoping that the duck hunting stars would align for him to finally bag a mallard drake. Problem is, as I labored to point out in a previous tale, there aren’t nearly as many mallards in Grayson County as there were 20 years ago. Or for that matter, even 10 years ago. So while young Will had bagged his share of the gadwalls, widgeon, teal, and the occasional diving ducks that had hovered over our decoy spread, his brief waterfowl hunting career still held forth a greenheaded dream yet to be realized. As anyone with siblings knows – especially when you are the youngest of those siblings – it doesn’t help when someone else in the family clan accomplishes something of note before you have your own chance to shine. Especially when that first accomplishment seems to unlock the door for additional accomplishments. 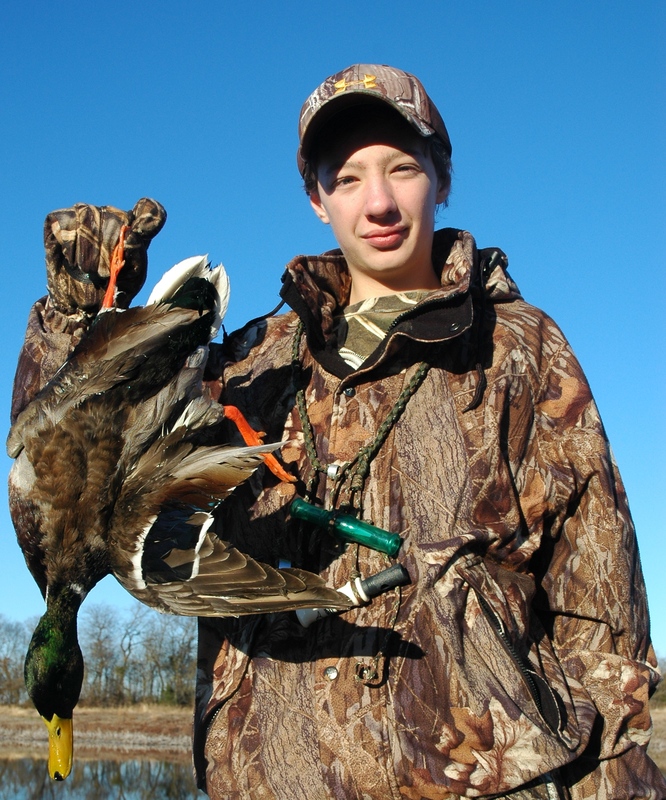 As in Zach’s first greenhead harvest this season was not his last greenhead harvest this season. All the while as younger brother Will patiently waited his turn, doing his best to hide the disappointment that duck seasons past and present were bringing, at least in the mallard hunting department. So on the last morning of the 2010-11 season, I arose early and headed downstairs to awaken the boys from their pre-dawn slumber. Come on guys I said. One more time afield before we call it good. One more time for our routine of a quick Sunday a.m. hunt before heading back to town to meet mom and big sis in time for church services. And with this final chance, I hoped, would come an opportunity for Will to punch his greenhead fraternity card once and for all. After driving to our spot, shouldering the decoys, and hiking to the blind, there was nothing to do in the chilly early morning breeze but to wait. Which we did, something that we always do before the start of a hunt. What we didn’t know is that on this morning, my wife Charissa, normally a sound sleeper on any and all duck hunting mornings, was already awake doing the same thing. Beseeching the Creator for early morning success for the four boys that live in our home – me, son Zach, son Will, and the chocolate Lab Buddy. Call us the Duck Commanders, Burkhead Boys style. With all of that in mind, an appropriate question here is this: does prayer work, even when it comes to duck hunting? A few feeding chuckles and a soft quack or two was all that it took to keep the pair locked up and gliding in to what would be the season’s last spread of decoys. When I did, a volley of shots came from the direction of my two sons. One bird fell, the other faltered. Then a shot from Rozell ended the winged drama and ensured that the faltering bird became a part of the bag limit. Upon retrieval and closer inspection, my duck identification skills were suddenly brought into question. Because laying there before us was not one, but two…mallard drakes. Including the one upended by my youngest son Will. Whose smile the size of Texas indicated that once and for all, he was finally a card carrying member of the mallard hunting fraternity. Welcome to the club Will. We’re all green with envy. In the outdoors realm, there are few things more disconcerting than sinking a warm, dry socked foot into a pair of frigid chest waders. A set of waders that suddenly reminds you that one boot foot in particular took on enough water during your last hunt to sink the Titanic. A boot that yours truly forgot to dry out. 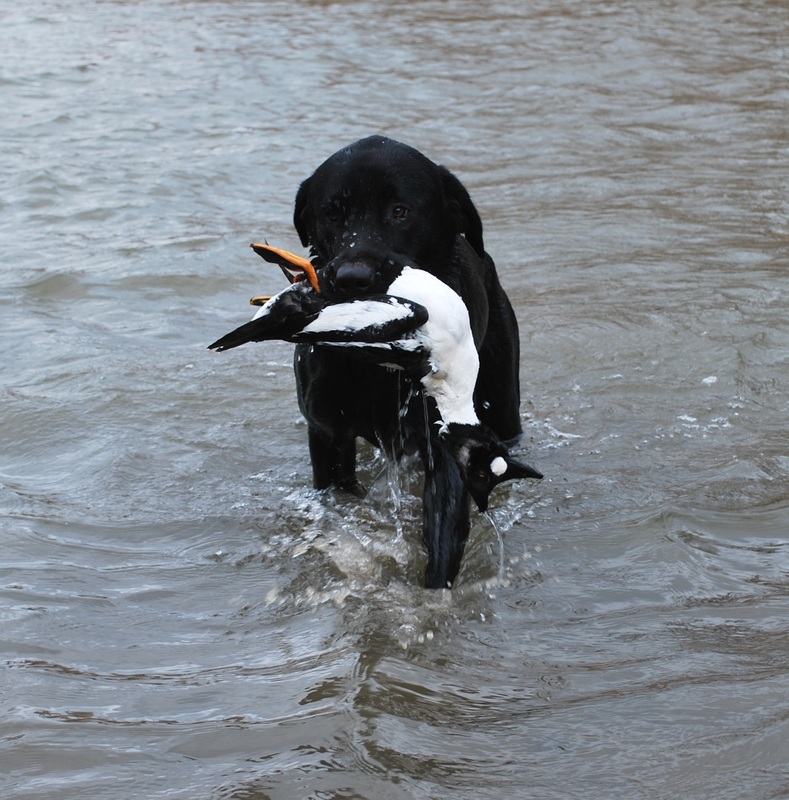 When the late season brings a shot opportunity at a prime goldeneye drake, don't miss! But that is especially true when an Arctic blue norther has roared into North Texas overnight, dropping temps into the 20s, wind chills into the teens, and bringing a wind-driven drizzle that is freezing on contact. What do you do in such a circumstance? Simple…you stay on mission, especially when the 2010-11 duck season is about to sing its swan song. So that’s what I dutifully did as I used my camera to record the early stages of a hunt that Pottsboro’s J.J. Kent and McKinney’s Kevin Harding were embarking upon yesterday morning on a beautiful cattail choked body of water. Kent, a Mossy Oak and Buck Gardner Calls pro-staffer, and Harding, an enthusiastic waterfowler of some 20 plus years, go way back. All the way back to Lubbock, Texas, in fact, where the two men met while students at Texas Tech University. Except it wasn’t a class, a Red Raiders’ pigskin game, or a cross-campus hike that provided their first meeting. Instead, it was while training their respective black Labrador retrievers on a local playa lake. Kent, who owned a once-in-a-lifetime dog named Whiskey, and Harding, who owned an equally adept dog named Harley, became lifelong friends. And card-carrying members of the Texas waterfowl hunting fraternity, a club that still lures grown men to the edges of insanity with pre-dawn gatherings interspersed with occasional bouts of frostbite in a good winter. Or the beginning stages of hypothermia, an affliction that I was sure I was experiencing when the morning cattail action proved slower than expected. And brought the idea of retreating. But not for some place warm and dry. North Texas duck guide J.J. Kent pleads with late season mallards on his Buck Gardner Double Nasty XL call. But instead for Kent’s big Xpress duck boat rig and a wind-tossed ride to a sheltered duck hole, a spot that should lure in all forms of flying fowl looking to escape the howling waters of Lake Texoma. I guess my teeth were chattering too hard to offer much in the way of protest. Besides, if I was going to die courtesy of Jack Frost, I at least wanted to trade in the Nikon for the Remington and go out in a blaze of glory. So a couple of hours later, as I tried in vain to burrow deeper into space-age clothing supposed to keep one warm, I looked up just in time. To see a spectacular hooded merganser dropping his flaps and putting down the landing gear as he reached for the decoy spread. Cold or not, I didn’t miss that gimmee shot opportunity at a bird that is now on its way to my wall. To be honest, the hope for a string of greenheads never materialized despite the fact that our trio saw plenty of mallards on the wing. Even with Kent’s superb calling on a Double Nasty XL call, the greenheads had other ideas. That’s late season wise guys for you. But as the Arctic blow continued, occasional shot opportunities would present themselves as a variety of duck species provided a mixed bag smorgasbord of shooting opportunity. At one point or another, mallards, teal, gadwalls, shovelers, and even a plump late season goldeneye drake all came calling to our decoy spread as ice built on the tossing blocks. And most of the time, one or more of those birds stayed behind for Kent’s current Lab, Bo, to retrieve after the smoke from spent gunpowder had been torn away on the wind. For the record, Harding is a very good shot and he didn’t miss many shot opportunities with his Benelli. 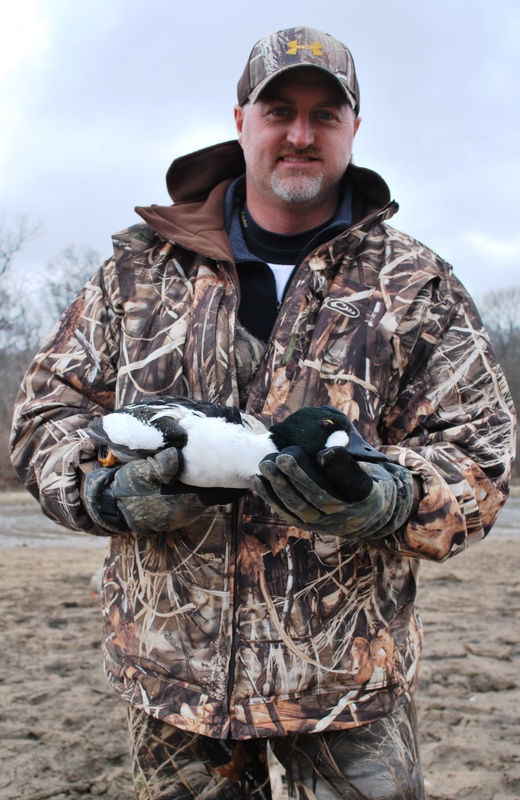 A late season goldeneye drake brings a warm smile to the face of Kevin Harding on a frigid North Texas winter day. All except a canvasback drake, of course, a regal bull can that none of us is talking about anymore. Also for the record, Kent is an equally deadly shot who seldom misses. And then there’s me, a hunter whose shooting ability shined early on in the game, then proceeded to disappear faster than the Dallas Cowboys’ playoff chances did this last fall. My shooting expertise was particularly embarrassing on the goldeneye drake that I had an opportunity to knock down. I guess I can blame a sore shoulder. Or the supposed hypothermia. Or the teeth chattering. Or even the numb foot in a frozen boot. Or better yet, I can blame the insanity of hunting late season ducks on the wings of an Arctic blow. Cold or not, that’s a malady that I hope to never be cured of. As long as ducks continue to fly on a north wind. “It’s alright, old girl. I’ll be right there” he called out to his ancient Lab of 13 years, a canine companion waiting impatiently on sore hips in the makeshift duck blind. When he got to the blind, Jake – a retired veterinarian – had to admit that Susie’s hips weren’t the only old bones creaking on this Christmas Eve morning. Sitting down on his hunting stool, Jake quickly unscrewed the lid from his battered thermos bottle, pouring out a stream of hot coffee bearing a stout taste that no “foo-foo coffee house” java could ever hope to duplicate. As he sipped the homemade brew – strong with just a touch of milk – the pungent aroma was quickly torn away on the building gale. As Orion the Hunter faded overhead with the reluctant approach of daylight, a quiet buzz rattle through Jake’s blind bag. “Who on earth would be calling me this early in the morning?” he wondered aloud. He knew his wife Kathleen was still asleep, so it couldn’t be her. For starters, she wasn’t much of an early riser. And with their meager Christmas buying complete – a bad economy and a retirement plan sunk by the crash of Wall Street had seen to that – there was little doubt that she was not the one behind the electronic intrusion into Jake’s annual Dec. 24th duck hunt. When Jake wrestled the phone from his blind bag, he saw that he had a text message waiting. After fumbling at the buttons, he finally saw the message glowing in the predawn darkness. For a few moments, Jake fought back tears. From the financial woes of a retirement plan gone south to Kathleen’s building health problems to the loss of a couple of very good friends to cancer, the current year had left Jake weary at best and numb at worst. For the last month, however, Jake had comforted himself with the thought that come Christmas Eve, it would all be better. By mid-afternoon on the 24th, his son Sam, his daughter-in-law Sandy, and his six-month old granddaughter Annie would have made the flight from Denver and would be in the family’s North Texas homestead celebrating Christmas. But now, a snowstorm, a text message…and a world suddenly gone sour. As he finished off the last of the coffee, Jake glanced at his watch and saw that shooting time had arrived unnoticed a couple of minutes earlier. As he sat his cup down, he reached into his worn duck parka and pulled out three loads of No. 2 steel and loaded them into his battered shotgun as they snapped home with an oily metallic clang. For a while, there was only the sound of the building wind, a southeastern blow that promised rain by evening. Finally, a half-hour into the day, Jake heard the familiar whistle of wings overhead. As he looked up under the brim of his hat, the aging hunter saw a mallard drake and a hen winging by 50 yards downwind of his decoy spread. 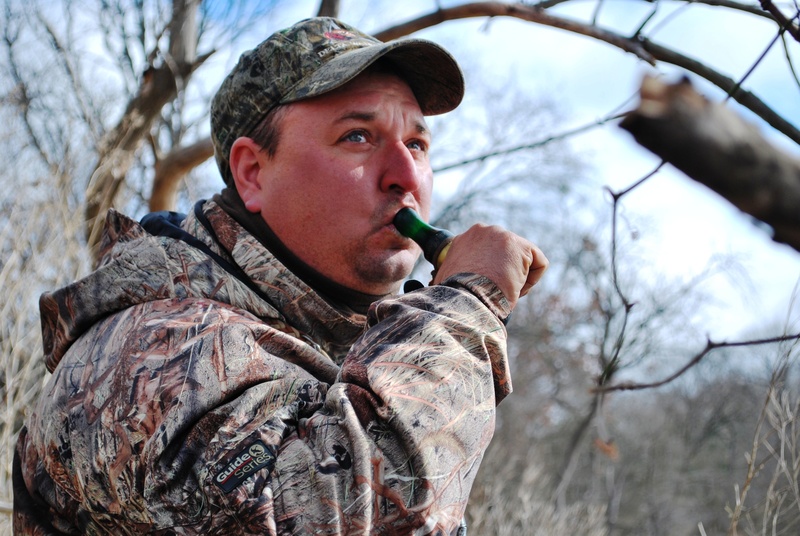 A quick highball from the cocobolo wood Rich-n-Tone duck call – old Butch Richenbach had built it himself – turned the pair of ducks as if on a string. Soft feed chuckles brought them overhead for a closer look. And a timely contented quack caused the pair to set their wings. When the greenhead lowered his landing gear and slid into range, Jake mounted his 870 pump-gun and touched off the shot. 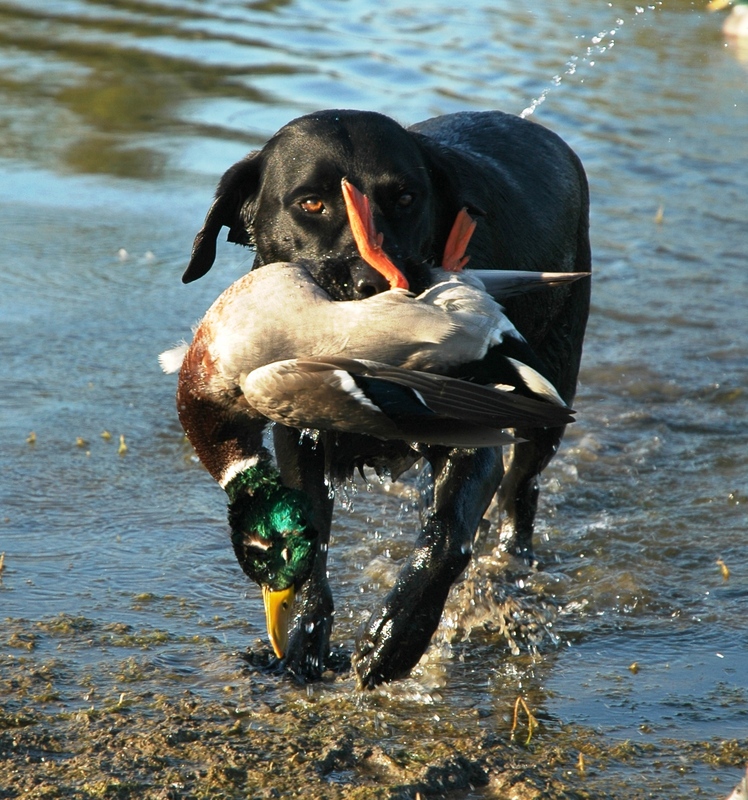 At the report, the greenheaded drake crumpled and fell into the middle of the spread, an easy retrieve for Susie. As the dog waded back in with the mallard clutched firmly in her mouth, Jake was startled to see a piece of silver wrapped around the drake’s bright orange leg. “A band? Well I’ll be, it’s been several years since I’ve gotten a banded bird,” he thought. But upon taking the bird from Susie, Jake realized that this band wasn’t like any other he had ever seen. Jake could scarcely believe his eyes – a Miner band! As he twirled the band in his fingers, Jake saw an inscription on the band that caused him to stop and catch his breath. That’s because he suddenly saw the Scripture verse that Miner bands are famous for bearing. For a long moment, Jake sat there and reflected on the events of the past few months. On his own wearied faith and his prayers looking for answers that seemed slow in coming. And now, on a promise born from the wind-tossed skies above by the whistle of greenhead wings on Christmas Eve morning. “I walk among you” the band declared, just in time for Christmas. One of the ways that I earn Christmas money for the Burkhead household is by serving as the play-by-play voice of the local high school football team, the Yellow Jackets. Friday Night Lights, North Texas style. Recently, literal moments before beginning the radio broadcast of the Jackets’ 112th encounter against their arch rivals the Bearcats, my Blackberry buzzed. In late October, that could only mean a couple of things. Casey Ingold may have initially wondered about the wisdom of hunting from one of the world's largest ground blinds - a barn - but he was no doubting Thomas after arrowing this Kansas big boy. Either our broadcast feed had been suddenly cut off. Or someone had knocked over a pile of big buck head-bones. One glance at the “Caller ID” confirmed the latter as I received a text from my bowhunting brother Casey Ingold, an arrow slinging pastor from Topeka, Kansas. By halftime on a storm-filled autumn evening, Ingold had sent the visual proof showing a big Kansas bruiser in more ways than one. Along with the details of one of the more unusual hunting stories that I’ve every heard. It seems that after a hectic week of tending his family and his flock, this pulpit version of Team Realtree’s David Blanton had decided to make a late afternoon visit to a nearby farm where he had a couple of stands hanging. But a chance encounter with the land-owning farmer – and the empty yawn of the Ingold family freezer – changed any plans that the “Sermonator” might have had for the evening. “Any luck Casey?” queried the farmer. Upon hearing that, the farmer informed Casey that he had seen a few does easing past his barn a couple of times over the past several evenings. After all, as the New Testament tells us, with faith in Christ the size of a mustard seed we can move mountains. Or maybe even fill a freezer with succulent venison steaks and backstrap. So Ingold quickly exchanged his previous plans for a sit in a high hanging treestand for a now lengthy wait upon a lowly hunting stool. A while later, Ingold was questioning his decision and growing a bit restless after no does had appeared. But that suddenly didn’t matter anymore as my pal spied a terrific buck on the horizon. Slowly, surely, the hefty buck sauntered his way a couple of hundred yards in the direction of the still disbelieving preacher. Oh yee of little faith Brother Ingold. But when the huge buck finally eased into bow range, my doubting Thomas preacher friend drew his bow in the shadowy recesses of the biggest box blind this side of Canada. And when the buck paused within shooting range, Ingold sent the broadhead tipped meat missile crashing home. A basic 10-point with a split brow tine, Ingold’s buck was big in the antlers and huge on the scales. Ingold – who is a big fella in his own right – estimated the buck’s live weight somewhere between 275 and 300 pounds. More like a side of beef than a couple of sides of venison. But what else do you expect from a story about a bowhunting preacher hunting out of a big red ground blind…err, a barn? And that’s no Double Bull either. So what’s the tagged out preacher going to do now? Watch the “Outdoor Channel” it sounds like. 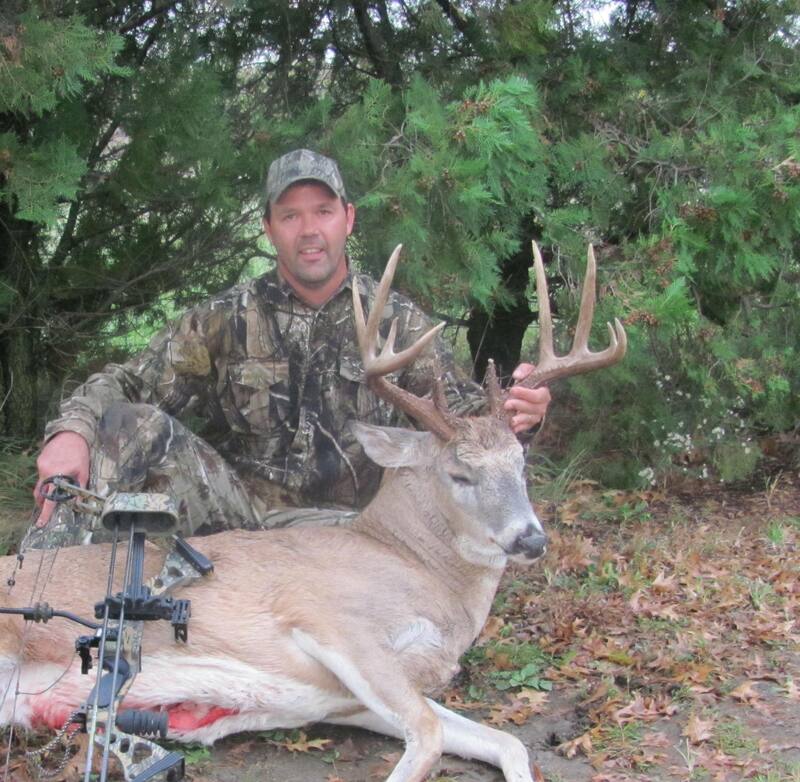 After two Pope&Young entries in as many October’s in the land of Oz and big whitetails, I would certainly hope not. By the way bro, save me a spot in that barn for next season. After the home team took a shellacking in the Battle of the Axe, all I’ve got to say is that I like your version of Friday Night Lights a little bit better than mine. Because the Kansas version of FNL is a bright flashlight beam casting its LED glow on the gleaming antlers of a really big buck with a 150-inches plus of headbone. Put that up on the scoreboard.